Distance : 6 Miles, Approx 3 hours. A hike for a cooler day. The trail follows an 1890s cattle trail into back country, but the first mile of the trail is open with a view of a subdivision across the road. The views improve from there, but you are without tree cover until the last .5 miles as you hike the scenic canyon floor. The trail runs another 3.8 miles from where we stopped to the top of the Mogollon Rim, which is too far for a comfortable day hike. 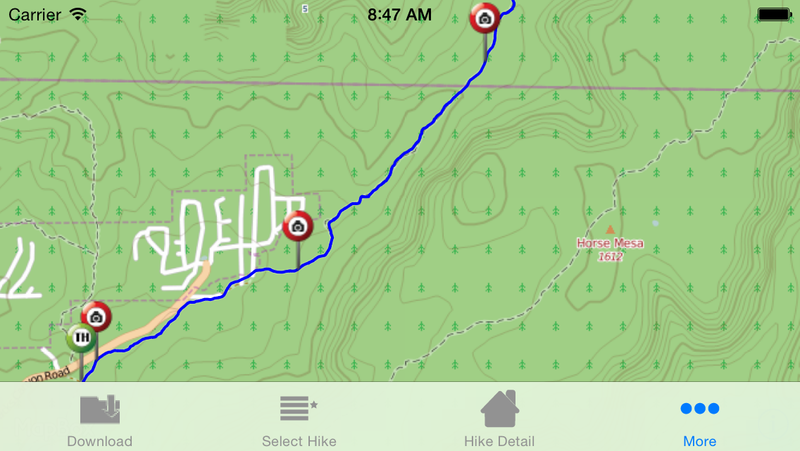 Be prepared for a hard hike if you do the entire trail going up 1,200 feet to the top of the Mogollon Rim. We measured a 417 foot elevation change. Jacks Canyon shares a trailhead area with Rabbit Ears Trail.